We welcome Paul Cox and his band, The Proof, for a return visit to the Crawdaddy to celebrate Paul’s 40th year in the business. Respected for his soulful approach to his brand of rocking blues, Paul has built up a reputation as one of Britain's finest Blues/Soul Singers. With accolades from many of his peers and critics alike with his enthusiastic approach to performing, he has built up a reputation as one of the most enjoyable nights out around. In a career spanning 40 years, Paul Cox has recorded, or appears on, over 20 albums. He has recorded six sessions on Paul Jones Blues show for the BBC, who cites Paul as one of his favourite voices, and has appeared with Ray Charles, Eric Clapton, Paul Rodgers, Snowy White, Bonny Tyler to name just a few. 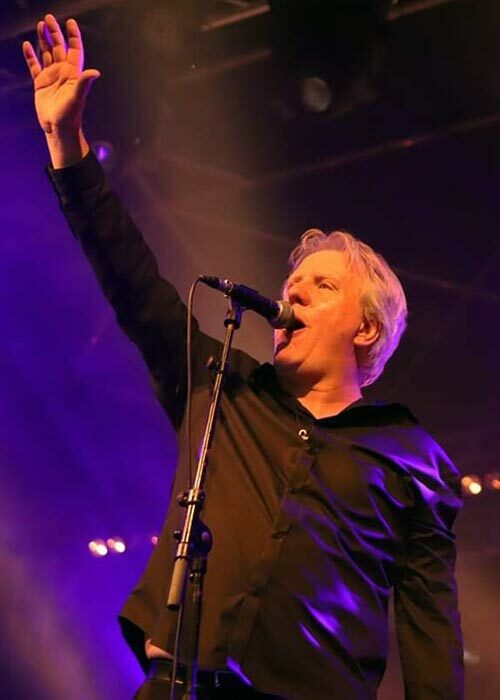 Paul has fronted Frankie Miller's Full house 30th anniversary band, The John Slaughter Blues band, and has toured extensively all over the world performing at the Montreux Jazz festival, as well as festivals in Italy, France, Holland and Lon-don’s Royal Festival Hall and Ronnie Scott's. Added to this, Paul has sung in films as well as appearing on T.V. all across Europe and on ITV. He has been described as the "heir apparent to Chris Farlowe" and "The Pavarotti of British Blues". With a top band of first class musicians, whose members have toured the world with legends in their own right, a great night of classy, soulful, rocking blues is promised to celebrate a successful 40 year music career.